After years of neglect, World Carfree Day is again an event being celebrated widely. 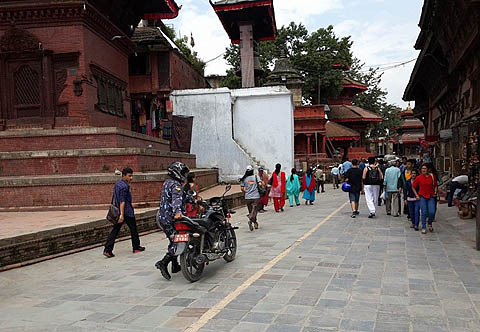 This year in Kathmandu it turned into World Carfree Week, with significant observances in various locations in the city on each of eight days. 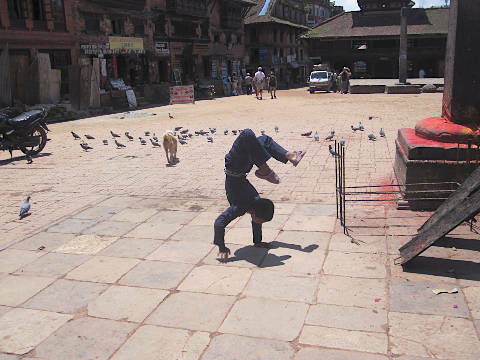 Bhaktapur celebrated its first-ever carfree day. I think this relates to the rising awareness that climate change really is a problem that we must deal with, and that car usage is a major part of the climate problem. 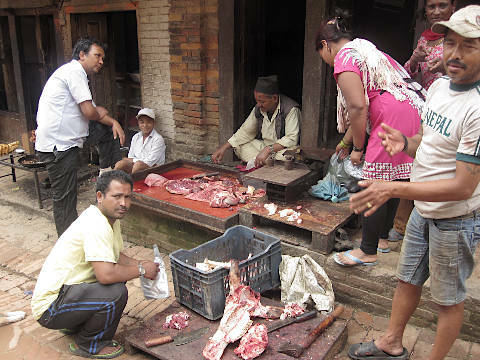 See the Feature Article below on how the original proposal for a one-day, one-street event in Kathmandu morphed into a much larger event, with just two months of intense work prior to the events. which allows us to present the newest videos first. If you watch a video, please Like it by clicking the Heart icon in the top-right of the video frame (Vimeo) or clicking the Thumbs Up icon below the video (YouTube). Posting to Twitter and Facebook will also help if you can. We need to get the message out to a broader audience. The Carfree page on Facebook has been online for about a year now. We have increased the frequency of posts in the past few months to an average of two or three a day. Drop by some time and don't forget to Like us. 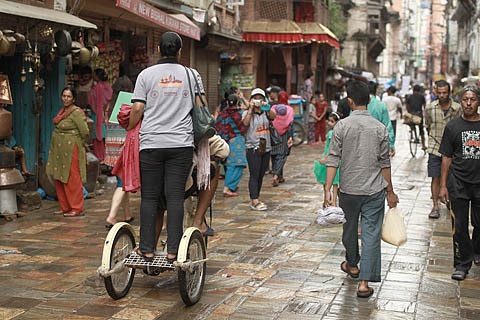 The celebration of World Carfree Day in Nepal's Kathmandu Valley, called "Ktm Walks," was initiated by three organizations. 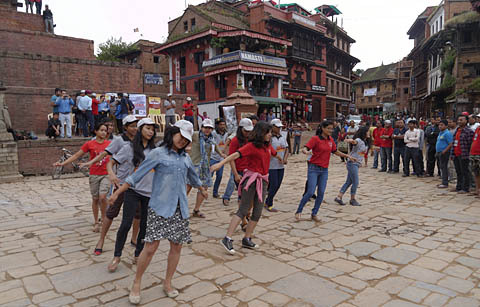 Kathmandu Metropolitan City (KMC) office was the lead organization, and two non-governmental organization (NGO) partners, Clean Energy Nepal (CEN) and Resource Center for Primary Health Care (RECPHEC), collaborated to conduct a week-long carfree day celebration in the Valley. 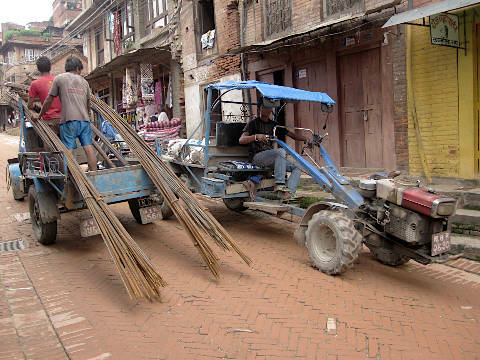 Vehicles, especially motorcycles, have increasingly affected the livability of many places in the Kathmandu Valley and especially in the city itself. RECPHEC began its work on walkability and pedestrianization in 2007 with emphasis on the community health benefits arising from increased physical activity and reduced pollution. 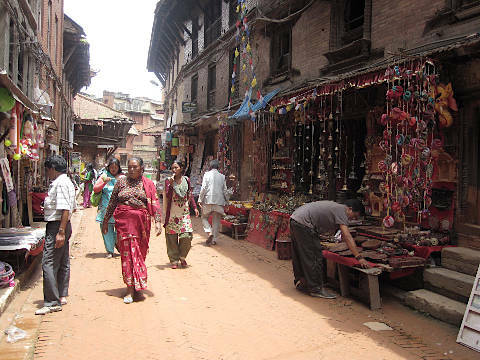 Since 2011 it has been actively involved in field studies and awareness programs focusing on restricting vehicles in the Thamel area (the tourist center in old Kathmandu). 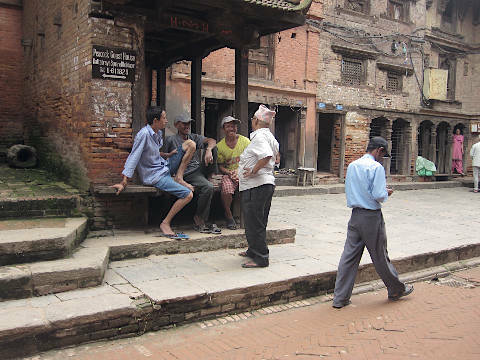 The first approach to the core city areas in Thamel involved interaction with local residents and collaboration with the Thamel Tourism Development Committee (TTDC). 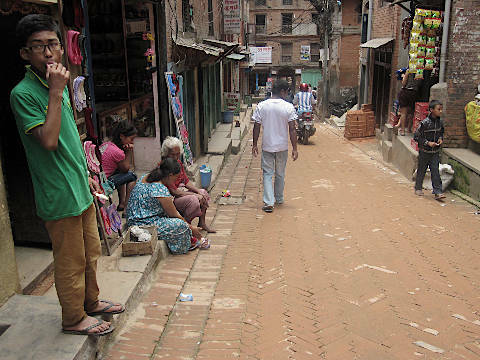 Pedestrianization of two major parallel roads in the old center of Kathmandu had been KMC's plan for 40 years, but efforts have failed every time, mostly because of lack of community support. 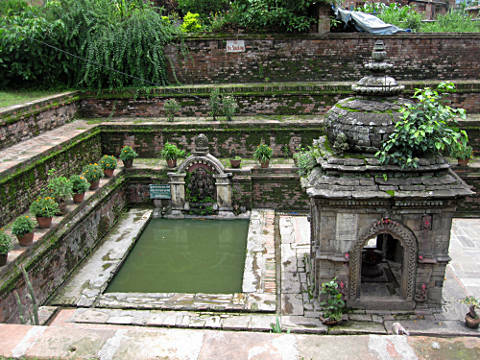 KMC also considers vehicle restriction to be an important part of heritage conservation in the historic core of Kathmandu. Kathmandu Sustainable Urban Transport Project (KSUT) is a project executed by KMC to improve the quality of urban life in Kathmandu by implementing a more efficient, safer, and more sustainable urban transport system favoring local economic growth and addressing climate change and air pollution concerns. One of the four top priorities is walkability, under which the pedestrianization of the core area is included. Clean Energy Nepal was exposed to the World Carfree Day celebrations in Jakarta, which happen twice every month. 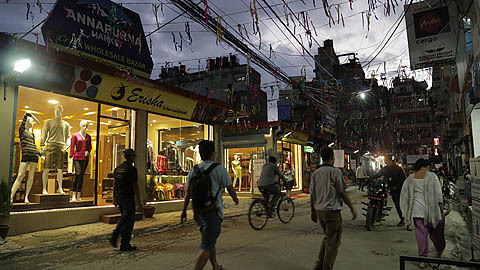 Since the government already had a pedestrianization project in place for Kathmandu's core, carfree day was recognized as an important promotional component. 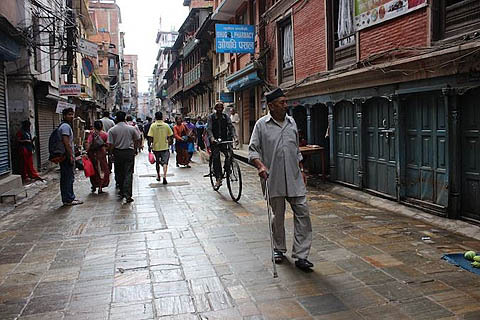 In 2012, CEN surveyed tourists in Thamel regarding pedestrianization, and 87% of tourists preferred a carfree Thamel. 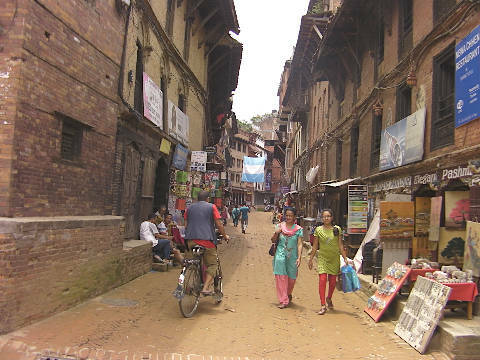 On the basis of the survey, a pedestrianization project was initiated in the Thamel area in a collaboration between KMC and RECPHEC. 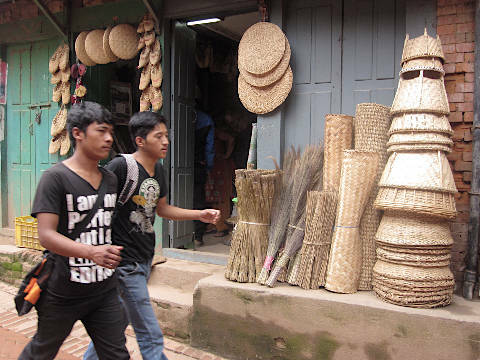 Initially it was concentrated in the touristic part of Thamel in coordination with TTDC. 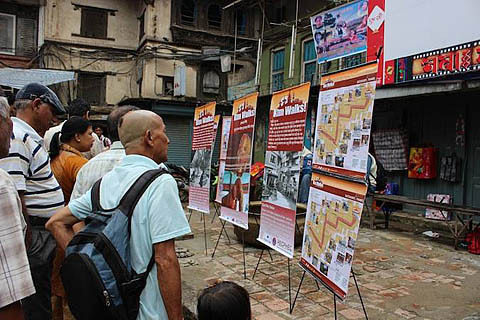 From the response of community consultation, it was realized that other areas of Thamel with mainly local residents were also interested in a vehicle restriction program. A World Carfree Day celebration was attempted in 2013 but was unsuccessful due to lack of preparation time and sufficient community consultation. 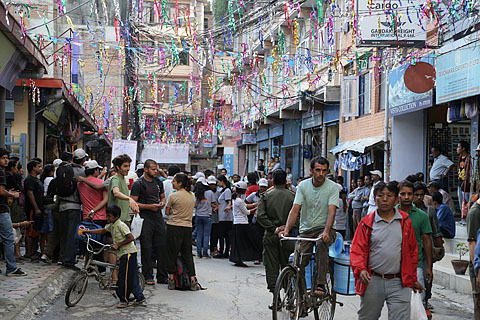 World Carfree day 2014 was planned to be celebrated in a different section of Thamel. According to local clubs and community participants, breaking the celebration into short periods of vehicle restriction would work better than attempting an entire day. The period between World Carfree Day on September 22 and World Tourism Day on September 27 was chosen for relatively short periods of vehicle restriction in different areas on each day. A meeting was held at KMC on 31 July 2014 regarding carfree day event planning. 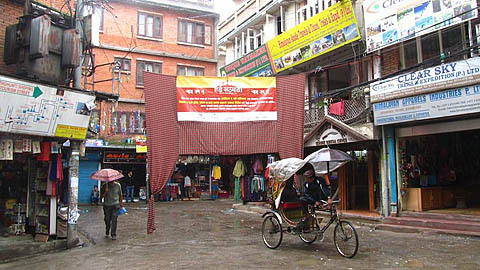 The other participants were CEN, RECPHEC, Carfree.com, and youth representatives of Thamel and KMC. This meeting focused initially on the celebration of carfree day in a few parts of Thamel only. The areas that would be selected would depend on the response from the local community representatives. The structure of the event and the number of days were uncertain, but it was determined that an event should be held on at least one day and more if circumstances permitted. During a meeting with the local community in the Kilagal area about the car restriction program, community members expressed interest in bringing the carfree day event to Kilagal and suggested cooperation with several local clubs. RECPHEC and Carfree.com communicated with Star Club, a local club in Kilagal, on the idea. It was then decided that KMC would be the lead organizer of the campaign. 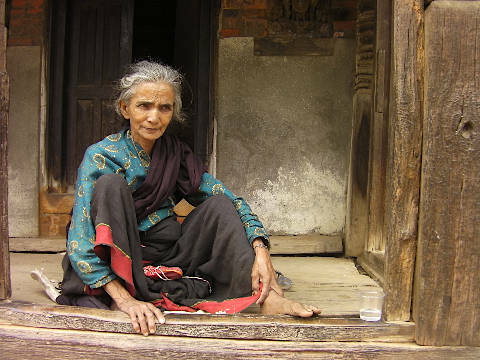 The event would be held in a small area that was thought to be manageable, Saatghumti-Kaaldhara. 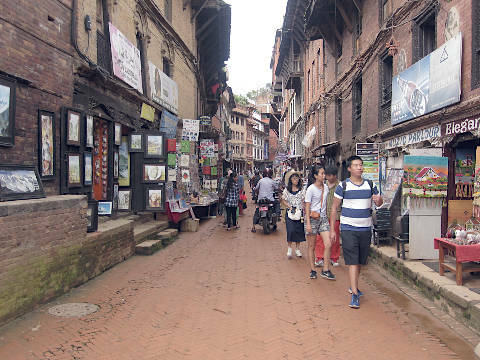 The local representative of Thamel was assigned to explore the possibilities of other areas that are prominent and where the impact would be visible to larger audience. A team was to explore the organization of events in the Jyatha area. Carfree.com and RECPHEC were to explore the possibilities in the Kilagal area. 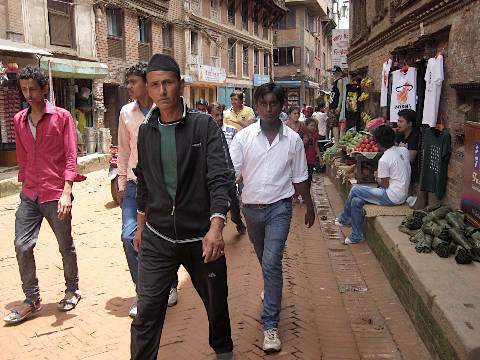 A team was assigned to coordinate with the youth clubs, seeking volunteers from Thamel for the event. A meeting was scheduled with TTDC, the Hotel Association of Nepal, the Trekking Agencies Association of Nepal, the Restaurant and Bar Association of Nepal, the Nepal Association of Tour and Travel Agents, and the Export Council of Nepal to seek collaboration on the event in Thamel. 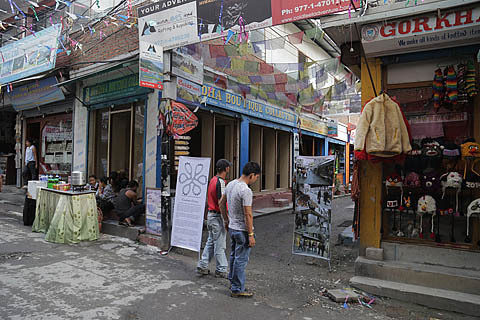 At this meeting, areas of Thamel were identified where vehicle restriction was feasible and local authorities were identified who needed to be approached for their approval. Different activities were proposed for the event, including a heritage walk following the route Dabali Marga-Bhagwan-Gairidhara-Bailachen, rickshaw promotion activities, a children's street art competition, local food stalls, local music, street acts, art exhibitions; bicycle rally, and an organic vegetable stall. Local clubs from other parts of Kathmandu also showed their keen interest in vehicle restriction programs for their communities and invited the event into their areas. Local participation and presentation programs were conducted on vehicle restriction zones and programs and on World Carfree Day celebrations around the world. Following their request to conduct the event on a Saturday, the event start was moved forward to 20 September and extended until 27 September. The local clubs and residents responded with great interest to the pedestrianization of their community over the long term and asked to celebrate the event more frequently. In various communities, participation exercises were conducted for planning the event and engaging the community in the process. The communities were briefed on the carfree initiatives and how local business, stakeholders, and local residents would benefit from this program. 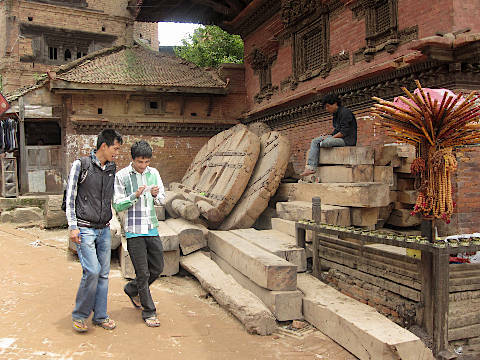 Its contribution to heritage conservation and increased tourism was also discussed. 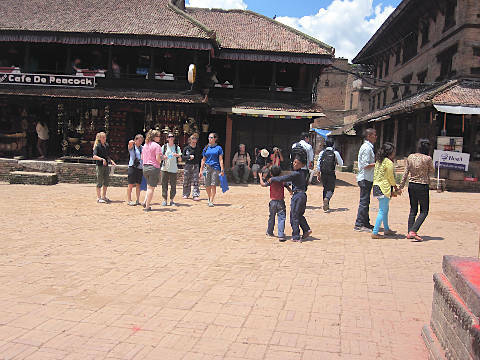 A local tourism entrepreneur from Bhaktapur showed great interest in the carfree event and the possibility of celebrating a carfree day in Bhaktapur. Carfree.com took the lead in coordinating the Bhaktapur event committee. 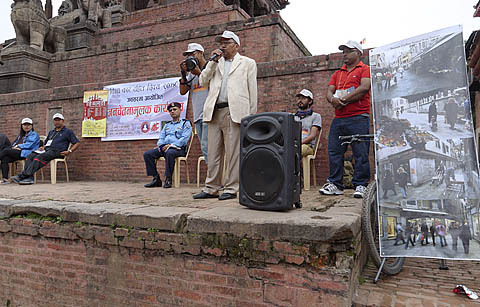 Other event organizers included Bhaktapur Municipality, Bhaktapur Tourism Development Committee, Bhaktapur Cycle City, and Taumadhi Youth Club. The local club of Kilagal also coordinated with Machhindra Club of Janabahal, which had also shown interest in celebrating World Carfree Day in their area. With another club joining the team, the stretch that would be carfree had grown to four times what had first been proposed. These clubs responded with their own programs and activities for the day, including photography, arts exhibitions, and performances of traditional music. 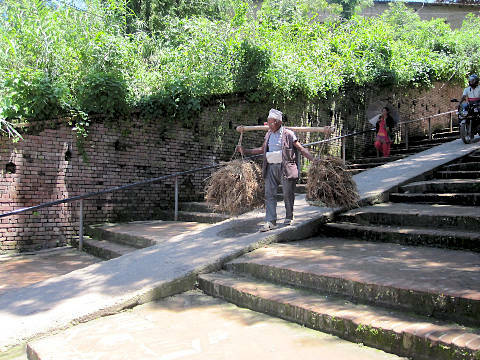 They also took the lead in conducting heritage walks in their areas, to be led by local experts. It was decided that the opening ceremonies were to be conducted in Janabahal and Kilagal, with participation by community and business leaders in the area. KMC coordinated with the traffic police and the Central District Office for traffic management. 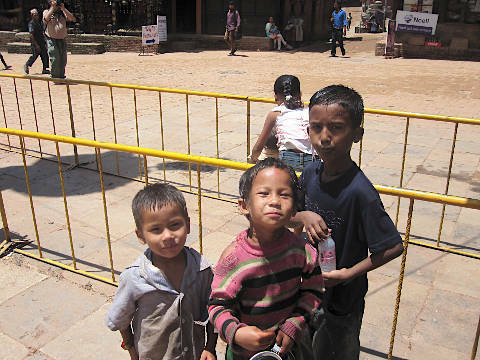 In Bhaktapur, a brief vehicle restriction program in Taumadhi Square on Saturday morning was coordinated by the Bhaktapur Municipality, the Bhaktapur Tourism Development Committee, and the Taumadhi Youth Club. Linking the carfree event with heritage conservation, new areas were identified for inclusion in the week-long carfree program. 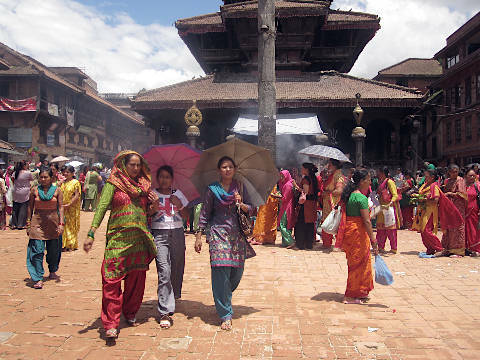 Kathmandu's Basantapur Durbar Square, already a carfree area in theory but full of vehicles due to lax enforcement, was also added to the program. The Teku-Dobhan route, a new heritage site which was a recently-declared carfree stretch along a riverbank, was also added to the program. 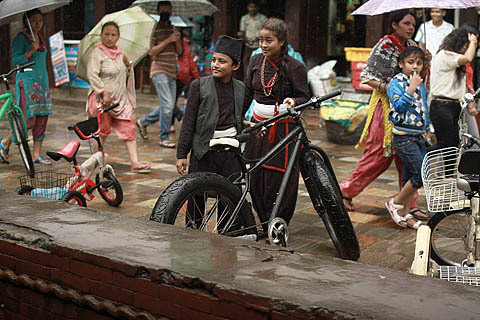 In the end, World Carfree Day became an eight-day celebration in the Kathmandu Valley. The event began on 20 September at Janabahal and Kilagal (as a result of their enthusiastic response to conducting carfree day). 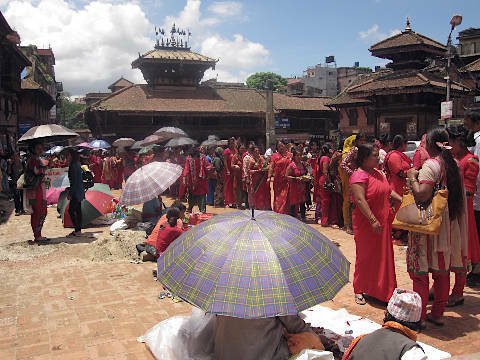 Vehicles were restricted from 7:00 AM to 7:00 PM, and the event opened with a Clean Up Nepal Campaign. 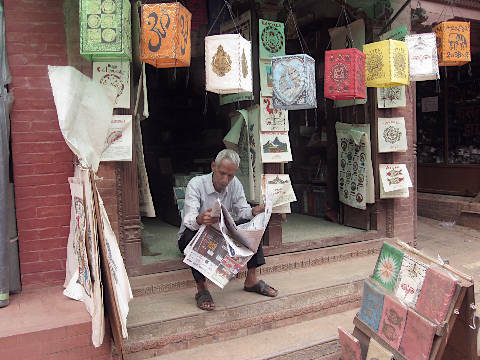 Various photo exhibitions and art competitions were conducted on the carfree street. The opening ceremony was followed by musical performances by local youths, a heritage walk, and a flash mob dance by youth volunteers of KMC. 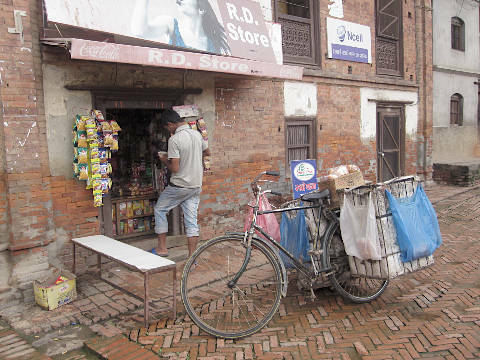 Local shops exhibited their products on the streets, and bicycle shops offered free rides in the carfree streets. The program closed with an open-air documentary screening of "Cycle and the City," "Car Trouble and How to Fix It," "How the Dutch Got Their Bike Lanes," among others. 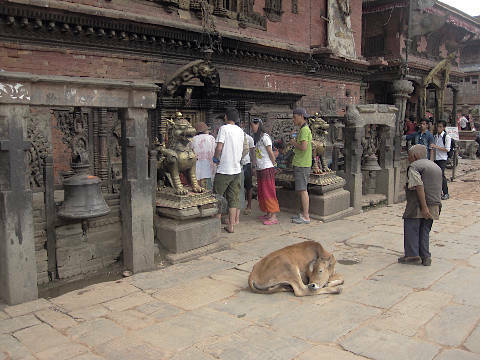 There was also a slide show of photos of the Kathmandu Valley before it was overrun by vehicles. The event concluded with interaction and feedback from the local community about future carfree days. 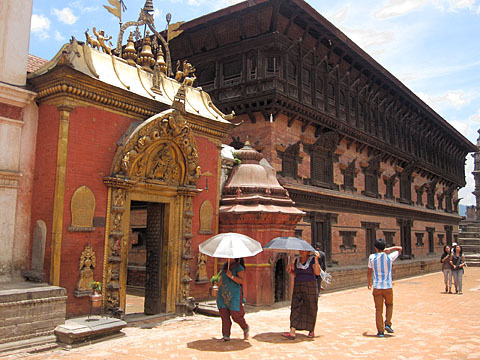 Three days were dedicated to restriction of vehicles in Basantapur Durbar Square. 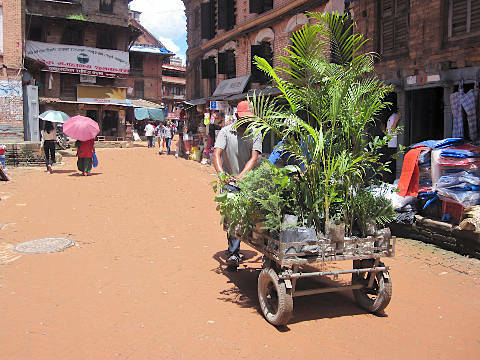 The event was also celebrated in Saatghumti, a stretch of Thamel that has the potential to be permanently carfree in future. Along with regular activities and events, there were musical performances, ethnic ramp walks, and food stalls in the venue. 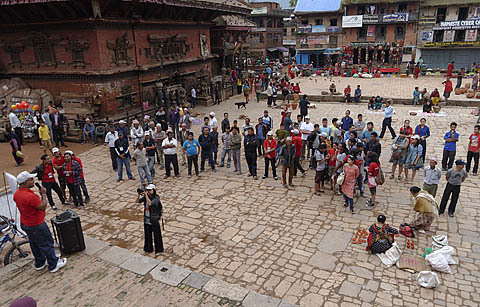 On 25 September, Bhaktapur celebrated its carfree day event by restricting vehicles from 6:00 AM to 9:00 AM in Taumadhi square. Groups that had never worked together before came together to make the event a success. 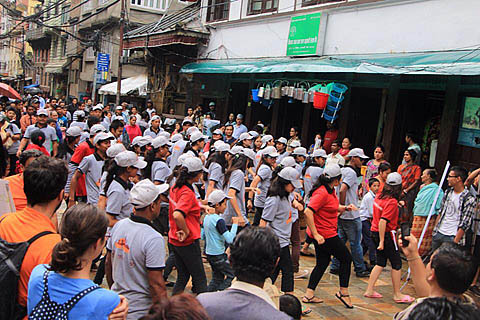 On 26 September, Bhagwan Bahal, a stretch in Thamel, celebrated carfree day with treasure hunt programs, street art, an art exhibition, skate board stunts, and other activities. With enthusiastic response and support from local business owners, a larger stretch than had been planned was made carfree on this day. 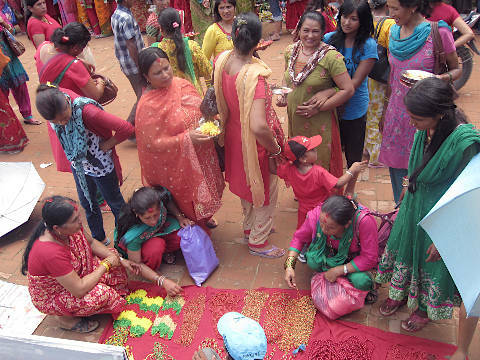 On the last day, 27 September, World Tourism Day, the program ended in Basantapur with a variety of activities. Most local communities showed interest in conducting vehicle-restriction programs more frequently, and Kilagal is planning to conduct another carfree day next month, with a monthly event under discussion. The experience of planning and organizing the Valley's carfree day events was encouraging and uplifting. Support for the event was considerable and evolved rapidly as the plans advanced, despite short time available to arrange the events. 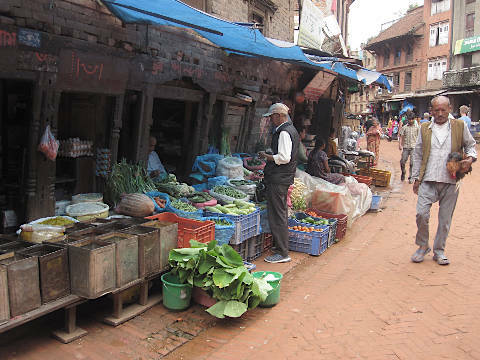 Sometimes, when an area is truly overwhelmed by traffic, as Kathmandu is, people are suddenly ready to consider radical measures to improve their lives. This seems to be what happened in Kathmandu last month. Maybe your city is ready, too. movement and the design of carfree villages. 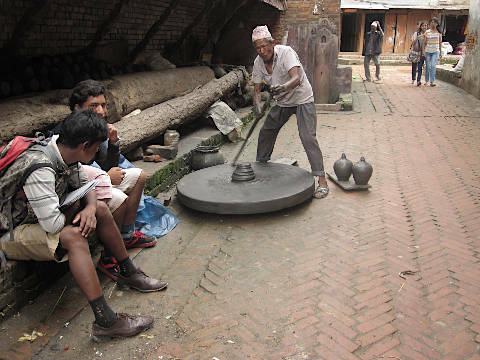 videographer making films mainly on environmental issues in Nepal. Ed. Note: I attended three of the events and found them delightful. The relief from traffic was palpable, as it almost always is. People were enjoying themselves. "A New U.S. Grand Strategy"
"Buenos Aires: Building a People-Friendly City"
"Case Study: The Unspoken Rules of Favela Construction"
"From bicycles to cars in Beijing"
"The Making of a Livable City: Inspiration for a Sustainable, Healthy Beijing"
"Walkable Metro Areas Are More Productive & Command Higher Rental"
Top-ranking metros have 38% higher GDP per capita compared to low-ranking metros. Offices in these areas command 74% higher rent compared to drivable suburban areas. Walkable urban development is not limited to center cities; it also includes the urbanization of suburbs. "Car-Free Households Are Booming in San Francisco "
"Parking: Searching for the Good Life in the City"
"An Analysis of the Relationship Between Highway Expansion and Congestion in Metropolitan Areas"
"Self-Driving Cars Are Still Cars - Which Means They Won't Improve Your Commute"
"U.N. Draft Report Lists Unchecked Emissions' Risks "
"Cutting Carbon Pollution Saves More Money Than It Costs By Making People Healthier "
"Urban heat: Not a myth, and worst where it's wet"
"Antarctic Sea Ice Hits a Record Max, and That's Not Good "
"Record decline of ice sheets: Scientists map elevation changes of Greenlandic and Antarctic glaciers "
"The Really Scary Thing About Those Jaw-Dropping Siberian Craters"
"Rate of Ocean Warming Vastly Underestimated: Study"
The Newari people in Bhaktapur and elsewhere are meat eaters. 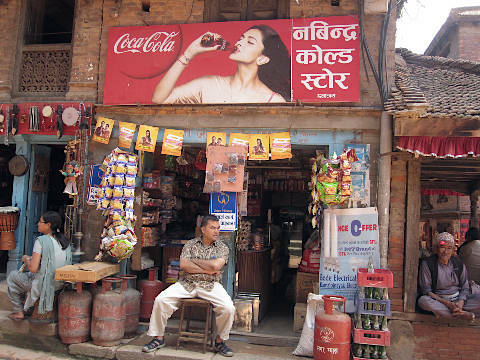 "Climate change may disrupt global food system within a decade, World Bank says"
Coke is everywhere, including Bhaktapur. 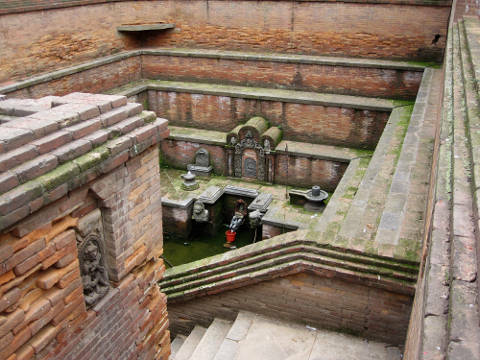 "Humans Driving Planet's New Mass Extinction, Say Scientists"
The water supply in Bhaktapur is ancient and carefully arranged. "'There Will Be No Water' by 2040? 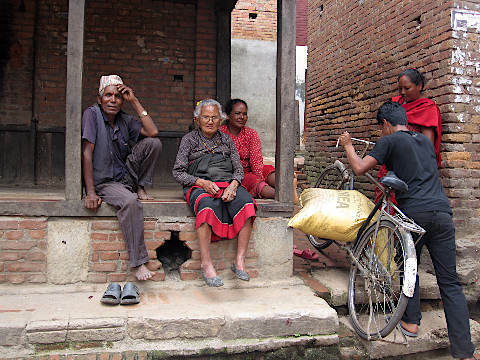 Researchers Urge Global Energy Paradigm Shift"
Social life in Bhaktapur is tightly woven. 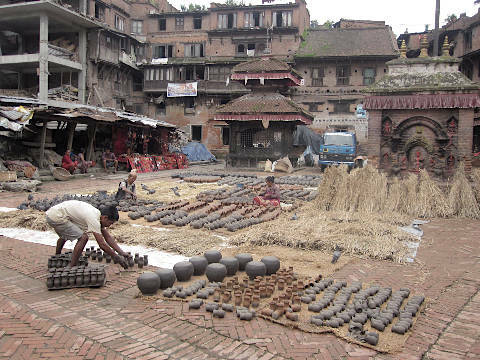 Bhaktapur's clay is used for many local crafts. 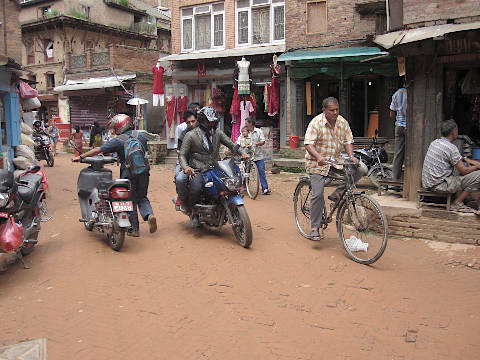 "US Spending Billions to 'Dig Ourselves a Bigger Climate Hole'"
Despite the recent influx of motorcycles, Bhaktapur is still a pedestrian city. 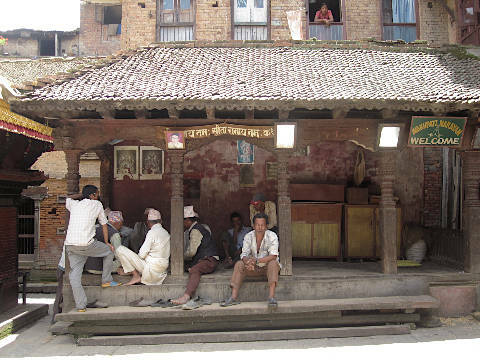 "How to power California with wind, water and sun"
Good pedestrian environments provide places to sit, as here in Bhaktapur. 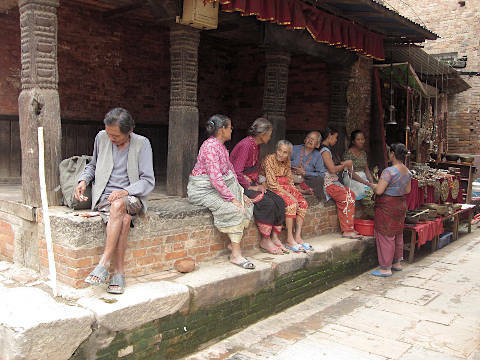 "Cars Will Cook the Planet Absent Shift to Public Transportation"
Newari festivals are many, long, and intense. 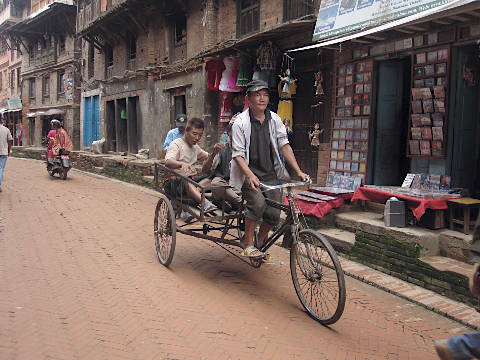 "Israeli air pollution drops 70-99% on car-free Yom Kippur"
"The Atlanta Transit Agency's Big Plan to Convert Parking Lots into Housing"
Bicycles are extensively used to make deliveries in Bhaktapur. "Danish Bike Culture Is Even More Amazing Than You Thought"
"If an Electric Bike Is Ever Going to Hit It Big in the U.S., It's This One"
"Dutch car sales poised to hit 45-year low"
Rick Risemberg has been a keen observer of the urban scene for many years. 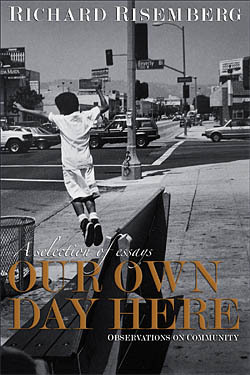 In this book he has collected the best of his writings over the past fifteen years. Some of them will probably be familiar to Carfree Times readers, but all of them will engage you. A cute dog shows children how much space parking lots take up by illustrating the various things that could fit in one parking space. Send a copy to your local planning department, plus the kids on your gift list. The next issue of Carfree Times is scheduled for December 2014.